The Treaty of Brest-Litovsk was a peace treaty signed on 3 March 1918 between the new Bolshevik government of Soviet Russia and the Central Powers (Germany, Austria-Hungary, Bulgaria, and the Ottoman Empire), that ended Russia's participation in World War I. The treaty was signed at Brest-Litovsk (Polish: Brześć Litewski; since 1945 Brest), after two months of negotiations. 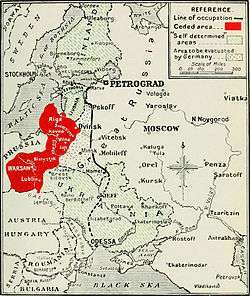 The treaty was forced on the Bolshevik government by the threat of further advances by German and Austrian forces. According to the treaty, Soviet Russia defaulted on all of Imperial Russia's commitments to the Triple Entente alliance. In the treaty, Bolshevik Russia ceded the Baltic States to Germany; they were meant to become German vassal states under German princelings. Russia also ceded its province of Kars Oblast in the South Caucasus to the Ottoman Empire and recognized the independence of Ukraine. Furthermore, Russia agreed to pay six billion German gold marks in reparations. Historian Spencer Tucker says, "The German General Staff had formulated extraordinarily harsh terms that shocked even the German negotiator." Congress Poland was not mentioned in the treaty, as Germans refused to recognize the existence of any Polish representatives, which in turn led to Polish protests. When Germans later complained that the Treaty of Versailles of 1919 was too harsh on them, the Allies (and historians favorable to the Allies) responded that it was more benign than Brest-Litovsk. The treaty was effectively terminated in November 1918, when Germany surrendered to the Allies. However, in the meantime, it did provide some relief to the Bolsheviks, already fighting the Russian Civil War, by the renouncement of Russia's claims on Poland, Finland, Estonia, Latvia, Belarus, Ukraine and Lithuania. By 1917, Germany and Imperial Russia were stuck in a stalemate on the Eastern Front of World War I. At the time, the Russian economy nearly collapsed under the strain of the war effort. The large numbers of war casualties and persistent food shortages in the major urban centers brought about civil unrest, known as the February Revolution, that forced Tsar Nicholas II to abdicate. The Russian Provisional Government that replaced the Tsar (initially presided by prince Georgy Lvov, later by Alexander Kerensky), decided to continue the war on the Entente side. Foreign Minister Pavel Milyukov sent the Entente Powers a telegram, known as Milyukov note, affirming them that the Provisional Government would continue the war with the same war aims that Imperial Russia did. The position of the Provisional Government led the Germans to offer support to the Russian opposition, the Communist Party (Bolsheviks) in particular, who were proponents of Russia's withdrawal from the war. In April 1917, Germany allowed Bolshevik leader Vladimir Lenin to return to Russia from his exile in Switzerland and offered him financial help. Upon his arrival in Petrograd, Lenin proclaimed his April Theses, which included a call for turning all political power over to workers' and soldiers' soviets (councils) and an immediate withdrawal of Russia from the war. Throughout 1917, Bolsheviks spread defeatist and revolutionary propaganda, called for the overthrow of the Provisional Government and an end to the war. Following the disastrous failure of the Kerensky Offensive, discipline in the Russian army deteriorated completely. Soldiers would disobey orders, often under the influence of Bolshevik agitation, and allowed soldiers' committees to take control of their units after deposing the officers. Russian and German soldiers occasionally left their positions and fraternized. The defeat and ongoing hardships of war led to anti-government riots in Petrograd headed by the Bolsheviks, the "July Days" of 1917. Several months later, on 7 November (25 October old style), Red Guards seized the Winter Palace and arrested the Provisional Government in what is known as the October Revolution. The newly established Soviet government decided to end Russia's participation in the war with Germany and its allies. On 26 October 1917, Vladimir Lenin signed the Decree on Peace, which was approved by the Second Congress of the Soviet of Workers', Soldiers', and Peasants' Deputies. The Decree called "upon all the belligerent nations and their governments to start immediate negotiations for peace" and proposed an immediate withdrawal of Russia from World War I. Leon Trotsky was appointed Commissar of Foreign Affairs in the new Bolshevik government. In preparation for peace talks with the representatives of the German government and the representatives of the other Central Powers, Leon Trotsky appointed his good friend, Adolph Joffe, to represent the Bolsheviks at the peace conference. Lev Kamenev arrives at Brest-Litovsk. Trotsky greeted by German officers. On 15 December 1917, an armistice between Soviet Russia and the Central Powers was concluded and fighting stopped. On 22 December, peace negotiations began at Brest-Litovsk. Germany was represented officially by Foreign Secretary Richard von Kühlmann, but the most important German figure was General Max Hoffmann, Chief of Staff of the German armies on the Eastern Front (Oberkommando-Ostfront). 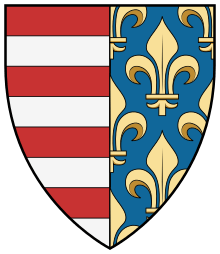 Austria was represented by Foreign Minister Count Ottokar Czernin, and the Ottomans by Talat Pasha. All these men were conservatives from monarchical countries. The German representatives had effective control of the Central Power side. The Russian representatives were all radicals and supporters of world revolution. They were led by Adolph Joffe, a veteran Red agitator, and included Anastasia Bizenko, who had assassinated a high Imperial official. At the start of the negotiations, the two sides were far apart. German plans for Eastern Europe included annexing most of Russian Poland, with Austria to receive a smaller piece. A rump Polish state would be established to act as a buffer between Germany and Russia. In addition, Ukraine would be detached as an independent state under German protection, while the Baltic states were to be annexed directly into Germany and ruled by German princes. For their part, the Bolsheviks declared that they sought a peace without any indemnities or territorial concessions. 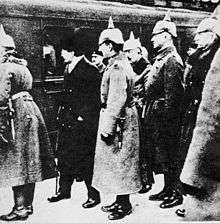 On 28 December, the Central Powers delegation withdrew from the conference to consider the Bolshevik peace proposals. Over Christmas of 1917, the Central Powers released a declaration stating that they were in favor of the separate peace with all the Allies without indemnities and without annexations, provided the peace was immediate and all belligerents took part in the negotiations. But this did not supersede the demand for the "independence" of Poland and Lithuania. Reassurances from the German side that Berlin wished only for a peaceful, equitable resolution to the conflict met with an angry reply from Joffe, "Then why do you wish to tear eighteen provinces from us!?" Lenin was in favor of signing the agreement immediately. He thought that only an immediate peace would allow the young Bolshevik government to consolidate power in Russia. However, he was virtually alone in this opinion among the Bolsheviks on the Central Committee. For the second round of negotiations, Trotsky replaced Joffe as the head of the Soviet delegation. Meanwhile, Count Czernin announced that if negotiations between Berlin and Petrograd failed, then Austria would seek a separate peace with the latter. Kuhlmann then told the ambassador that such an action would result in Germany withdrawing all its divisions from the Austrian frontier, which promptly led Czernin to drop that offer. He also asked General Hindenburg exactly why he sought the annexation of the Baltic states and was told, "To secure my left flank for when the next war happens." On 8 January 1918, U.S. President Woodrow Wilson proclaimed his Fourteen Points, which were centered around the concept of national self-determination. The Bolsheviks had long espoused the right of national peoples to self-determination as a part of the anti-imperialist struggle. While Lenin wanted to accept the German peace proposal immediately, a majority of the Bolshevik Central Committee disagreed. The "Left Communists", led by Nikolai Bukharin and Karl Radek, believed that Germany, Austria, Turkey, and Bulgaria were all on the verge of revolution. They wanted to continue the war while awaiting revolutions in those countries. Thus the Soviet delegation returned to the peace conference without instructions to sign the proposed treaty. 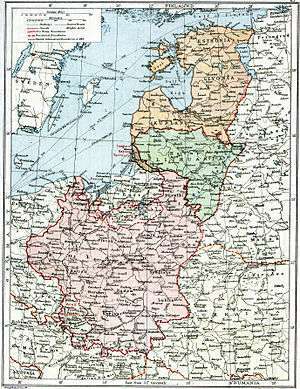 Kühlman and Hoffmann now proposed independence for the Baltic states, Poland, and Ukraine, in accordance with the Soviets' own national self-determination doctrine. Indeed, the Germans were already negotiating with a separatist government in Ukraine. On 9 February 1918, Germany recognized that government and signed a treaty with it, the first Treaty of Brest-Litovsk. Frustrated with continued German demands for cessions of territory, Trotsky on 10 February announced a new policy. Russia unilaterally declared an end of hostilities against the Central Powers, and Russia withdrew from peace negotiations with the Central Powers - a position summed up as "no war — no peace". Other Bolshevik leaders denounced Trotsky for exceeding his instructions and exposing Soviet Russia to the threat of invasion. Trotsky subsequently defended his action on the grounds that the Bolshevik leaders had originally entered the peace talks in the hope of exposing their enemies' territorial ambitions and rousing the workers of central Europe to revolution in defense of Russia's new workers' state. The consequences for the Bolsheviks were worse than what they had feared in December. The Central Powers repudiated the armistice on 18 February 1918, and in the next fortnight seized most of Ukraine, Belarus, and the Baltic countries in Operation Faustschlag. Through the ice of the Baltic Sea, a German fleet approached the Gulf of Finland and Russia's capital Petrograd. Despite strikes and demonstrations the month before in protest against economic hardship, the workers of Germany failed to rise up against their government. On 23 February, the Central Powers sent new terms for peace. 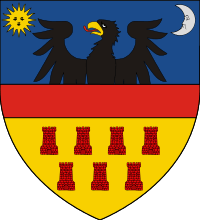 These terms included cession of Dünaburg, Livonia, and Estonia to Germany; cession of western Armenia to the Ottoman Empire; recognition of an independent Ukraine; immediate evacuation of Russian troops from Finland and Ukraine; and complete demobilization of the Russian Army. Additionally, the Central Powers required that these terms be agreed to within 48 hours. Lenin again pressed for acceptance of these terms. This time a majority of the Central Committee supported Lenin. The Soviet government sent a new delegation headed by Georgy Chicherin and Lev Karakhan, with instructions to accept the proposal. 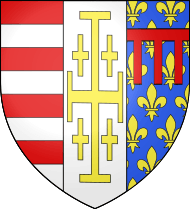 On 3 March Chicherin signed the treaty. Thus the new Soviet government agreed to terms worse than those they had previously rejected. Borders drawn up in Brest-Litovsk. The Treaty of Brest-Litovsk was signed on 3 March 1918. The signatories were Bolshevik Russia signed by Grigori Yakovlovich Sokolnikov on the one side and the German Empire, Austria-Hungary, Bulgaria, and Ottoman Empire on the other. The treaty marked Russia's final withdrawal from World War I as an enemy of her co-signatories, on unexpectedly humiliating terms. In all, the treaty took away territory that included a quarter of the population and industry of the former Russian Empire  and nine-tenths of its coal mines. Russia renounced all territorial claims in Finland (which it had already acknowledged), Baltic states (Estonia, Latvia and Lithuania), Belarus, and Ukraine. The territory of the Kingdom of Poland was not mentioned in the treaty. 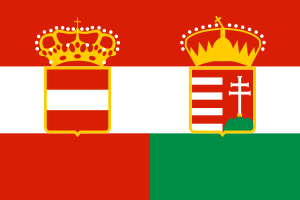 The treaty stated that "Germany and Austria-Hungary intend to determine the future fate of these territories in agreement with their populations." Most of these territories were in effect ceded to Germany, which intended to have them become economic and political dependencies. The many ethnic German residents (volksdeutsch) would be the ruling elite. New monarchies were created in Lithuania and the United Baltic Duchy (which comprised the modern countries of Latvia and Estonia). 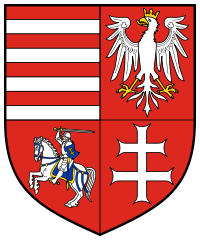 The German aristocrats Wilhelm Karl, Duke of Urach (in Lithuania), and Adolf Friedrich, Duke of Mecklenburg-Schwerin (in the United Baltic Duchy), were appointed as rulers. The occupation of Western Russia ultimately proved a costly blunder for Berlin as over one million German troops lay sprawled out from Poland nearly to the Caspian Sea, all idle and depriving Germany of badly needed manpower in France. The hopes of utilizing Ukraine's grain and coal proved abortive and in addition, the local population became increasingly upset at the occupying army. Revolts and guerrilla warfare began breaking out all over the occupied zone, many of them inspired by Bolshevik agents. German troops had to intervene in Finland to put down an attempted Bolshevik coup, and Ludendorff became increasingly paranoid about his troops being affected by propaganda emanating from Moscow; this was one of the reasons he was reluctant to transfer divisions to the Western Front. The attempt at establishing an independent Ukrainian state under German guidance was unsuccessful as well. Despite all this, Ludendorff completely ruled out the idea of marching on Moscow and Petrograd to remove the Bolshevik government from power. Germany transferred hundreds of thousands of veteran troops to the Western Front for the 1918 Spring Offensive, which shocked the Allies badly, but ultimately failed. Some Germans later blamed the occupation for significantly weakening the Spring Offensive. In the wake of Russian repudiation of Tsarist bonds, nationalisation of foreign-owned property and confiscation of foreign assets, Russia and Germany signed an additional agreement on 27 August 1918. Russia agreed to pay six billion marks in compensation to German interests for their losses. The Treaty of Brest-Litovsk lasted only eight and a half months. 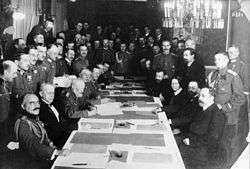 Germany renounced the treaty and broke diplomatic relations with Soviet Russia on 5 November 1918. The Ottoman Empire broke the treaty after just two months by invading the newly created First Republic of Armenia in May 1918. In the Armistice of 11 November 1918 that ended World War I, one of the first conditions was the complete abrogation of the Brest-Litovsk treaty. Following the German capitulation, the Bolshevik legislature (VTsIK) annulled the treaty on 13 November 1918, and the text of the VTsIK Decision was printed in Pravda newspaper the next day. In the year after the armistice, the German Army withdrew its occupying forces from the lands gained in Brest-Litovsk, leaving behind a power vacuum that various forces subsequently attempted to fill. In the Treaty of Rapallo, concluded in April 1922, Germany accepted the Treaty's nullification, and the two powers agreed to abandon all war-related territorial and financial claims against each other. The Treaty of Brest-Litovsk marked a significant contraction of the territory controlled by the Bolsheviks or that they could lay claim to as effective successors of the Russian Empire. While the independence of Finland and Poland was already accepted by them in principle, the loss of Ukraine and the Baltics created, from the Bolshevik perspective, dangerous bases of anti-Bolshevik military activity in the subsequent Russian Civil War (1918–1922). Indeed, many Russian nationalists and some revolutionaries were furious at the Bolsheviks' acceptance of the treaty and joined forces to fight them. Non-Russians who inhabited the lands lost by Bolshevik Russia in the treaty saw the changes as an opportunity to set up independent states not under Bolshevik rule. Immediately after the signing of the treaty, Lenin moved the Soviet Russian government from Petrograd to Moscow. The fate of the region, and the location of the eventual western border of the Soviet Union, was settled in violent and chaotic struggles over the course of the next three and a half years. The Polish–Soviet War was particularly bitter; it ended with the Treaty of Riga in 1921. Although most of Ukraine fell under Bolshevik control and eventually became one of the constituent republics of the Soviet Union, Poland and the Baltic states emerged as independent countries. This state of affairs lasted until 1939. As a consequence of the Molotov-Ribbentrop Pact, the Soviet Union advanced its borders westward by invading Poland in September 1939 and Finland in November 1939 and annexing the Baltic States, Eastern Poland and Bessarabia in 1940. It thus overturned almost all the territorial losses incurred at Brest-Litovsk, except for the main part of Finland, western Congress Poland, and western Armenia. For the Western Allies, the terms that Germany imposed on Russia were interpreted as a warning of what to expect if Germany and the other Central Powers won the war. Between Brest-Litovsk and the point when the German military situation in the west became dire, some officials in the German government and high command began to favor offering more lenient terms to the Allies in exchange for their recognition of German gains in the east. ↑ (Ukrainian) To whom did Brest belong in 1918? Argument among Ukraine, Belarus, and Germany. Ukrayinska Pravda, 25 March 2011. 1 2 3 4 5 6 Ruth Fischer, Stalin and German Communism: A Study in the Origins of the State Party (New Brunswick, New Jersey: Transition Books, 1982) p. 32-36. ↑ David Stevenson (2009). Cataclysm: The First World War as Political Tragedy. Basic Books. p. 315. ISBN 978-0-7867-3885-4. ↑ Ruth Fischer, Stalin and German Communism, p. 24. ↑ Ruth Fischer, Stalin and German Communism, p. 39. ↑ Ruth Fischer, Stalin and German Communism, p. 38. ↑ John Keegan, The First World War (New York: Vintage Books, 2000), p. 342. ↑ Jewish Museum in Prague (2013-2015). Emil Orlik (1870–1932) - Portraits of Friends and Contemporaries [description of exhibition in 2004]. Retrieved 2015-04-03.